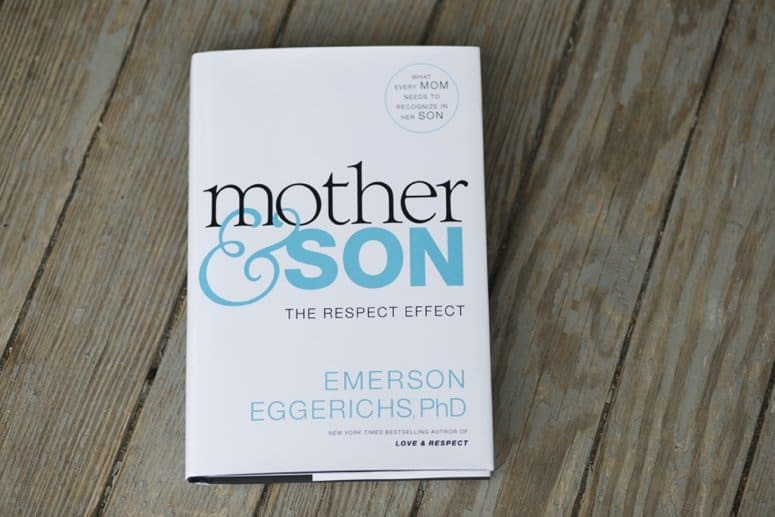 Emerson Eggerichs, the bestselling author of Love & Respect, just released a new book, Mother & Son: The Respect Effect. Eggerichs Love & Respect has transformed many marriages with the understanding of the way women need to be shown love, while men crave respect. What about our sons? The need for respect doesn’t suddenly show up when a boy gets married. How can a mom show her son respect, while still being Mom? Eggerichs addresses the topic in this new book, and also shows Moms practical ways to implement respect in her relationship with her sons. As the single Mom of boys, I often worry about mothering them well. My oldest is 9, and I think we have a different relationship because he is ‘man of the house’. He loves the responsibility of taking care of the “man” things, and I think feels a great deal of respect naturally. I worry that role could also put undue weight on his shoulders, so I know I will have to watch out for that later. Then I look at my next boy, who is 2, and wonder how things will be different with him. He will grow up with a single Mom, and an older brother in a naturally respected role. I know I will need to be sure that the younger brother also feels important and respected in our home. I think this new book is a must read for all mothers of sons! I love the testimonials included in the book to show the difference using these strategies can make on the mother/son relationship. One mom writes that she learned that saying “I’m proud of you” to her son make him feel more valued than if she’d given him kisses for a year. It is so important for a boy to feel positive regard no matter what he’s done, but figuring out how to do that while still mothering and disciplining is difficult. I love how this book walks me through that! Enter to win your own copy of Mother & Son: The Respect Effect below! Thank you for this post and review! As mom to 3 boys I struggle daily with how best to show them respect and offer constructive praise , all while being mindful of their individuality, age difference, and teaching them respect for one another. Can't wait to dig into this one! My boys and I struggle with this all day, every day. This would be an excellent read for me. With four sons, I'm always learning! This would be great timing for me as we navigate these ages of 16, 14, 11, 9. Thanks! Thanks for posting! I have several books by this author and have taken a Sunday school class at church. I can't wait to read this book as well. My boy is 12 and growing up so fast! I want to make the most of the time I have left with him under my roof.